While getting ready for his board game-to-movie action blockbuster Battleship to hit theaters on May 18, 2012, director Peter Berg (The Rundown, The Kingdom) offered up an update on the possibility of a Hancock 2 happening. Berg basically said that everyone involved, including star Will Smith, wanted the movie to happen, and that it was just a matter of finding the time when everyone could actually do it. 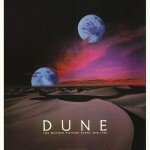 A remake of the 1984 David Lynch film Dune has been on the way for a while now. The movie was beginning to take some steps when The Rundown and Hancock director Peter Berg was hired to helm the remake. These steps ended when Berg stepped away after he was offered the opportunity to direct a movie based on the popular Hasbro game, Battleship, which he felt that he simply couldn’t turn down. Now comes word via Entertainment Weekly that Paramount Pictures has found and hired Berg’s replacement for Dune, and his name is Pierre Morel. Morel is fairly new to the directing game, but he has showed promise so far. He directed the popular Liam Neeson angry father film Taken, and the upcoming John Travolta and Jonathan Rhys Meyers action flick, From Paris With Love. Before starting his career as a director, he also worked as a cinematographer on movies like Jason Statham’s The Transporter and War. Turning toys and games into movies is no new deal. Dodgeball: An Underdog Story, Transformers, and G.I. Joe: The Rise of Cobra have come and gone, with movies based on Battleship, Stretch Armstrong, Clue, Candy Land, Ouiji, Monopoly, and others still on the way. Adding to the party, Universal Pictures has announced that they have plans to take the legendary Barbie and turn her into a live-action movie, as well. As crazy as these announcements always sound, this decision is a no-brainer, really. 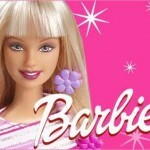 As her maker Mattel states, the toy celebrity has 99% worldwide brand awareness. You don’t have to be Good Will Hunting to know that’s pretty strong. The question here really is: what do you actually DO for a Barbie movie? The current plan to get going on finding some writers to take it on, but producer Laurence Mark isn’t worried, explaining that Barbie has had over 120 jobs over her 50-year existence, which opens the door to countless choices. 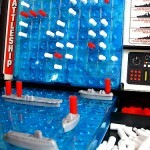 Universal Pictures has announced that Peter Berg will be the man to direct the next movie based on a toy or game from Hasbro, and that movie is Battleship. They also announced that the movie will be released on July 1, 2011. As it turns out, Berg’s father was a Naval historian, and the director’s childhood was coated with all things Navy, so he has been searching for a movie where he could use that untapped knowledge. The deal also came with the chance to direct a movie after Battleship that he personally wrote called The Lone Survivor, which follows a Navy Seals team who is attacked in Afghanistan. Last week, Hancock director Peter Berg talked about his ideas for a sequel to the hit movie starring Will Smith, but no plans were in the works to make a new movie (read ‘Hancock’ Director Talks Sequel Ideas). Although Columbia Pictures was eager to fast track a sequel, Berg said that Smith was too busy and that the script would have to be right. Not surprisingly, Columbia Pictures has hired writers Adam Fierro and Glen Mazzara to pen the screenplay for a Hancock sequel with the original producing team expected to return. No official word yet on Smith, though he was one of the producers, and co-stars Charlize Theron and Jason Bateman. Director Peter Berg‘s superhero dramady Hancock was a box office hit on 2008’s Fourth of July weekend, earning over $107 million its opening week and has since grossed over $200 million. So, it’s not surprising that talk of a sequel to the film, which starred Will Smith in the title role, has been creeping up ever since. But, does the film’s ending leave room for a sequel? Berg spoke with SciFi Wire and gave up some spoiler-filled ideas for a sequel, if one ever comes to pass.